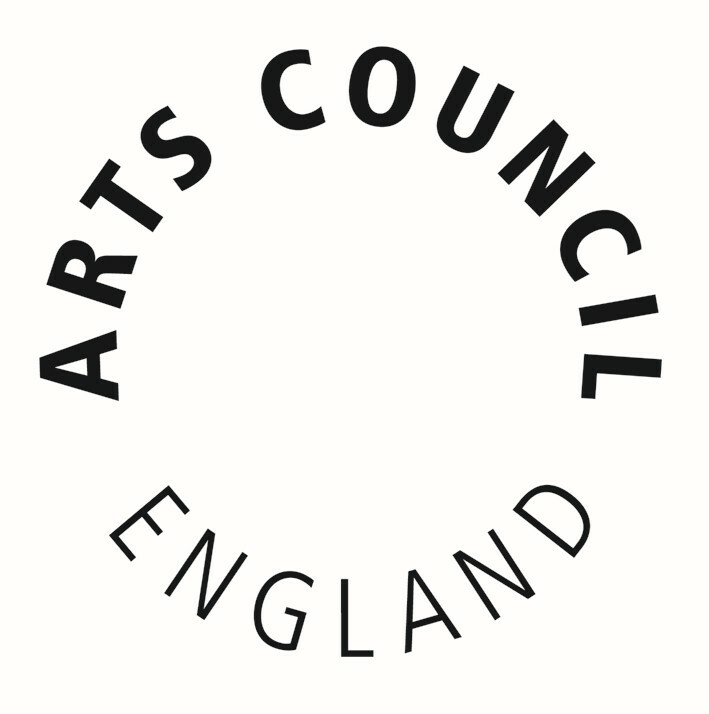 The Arts Council’s Grants for the Arts Libraries Fund opened for applications in September 2012. It’s a £6 million scheme granting funding to public libraries of £1,000 to £100,000 for partnership arts schemes, and it’s open for application until March 2015. Find out more and apply. A volunteer programme can bolster your teen offer, but the process of establishing volunteering hours. Here are some tips that will help you set up a volunteer service for young people and decide what type of volunteering is appropriate, and how to manage it. What type of volunteer work should my library offer to young people? Teens may receive volunteer hours a wide variety of activities. You could also establish a programme in which teens work with children (mentoring, reading, etc.) or the elderly. Young people may also receive volunteer hours from participating in a reading group, Teen Advisory Group, or other youth-related library project. Contact your local youth volunteering representative (probably someone from vinvolved) to find out more. Some activities you could do with pre-existing teen groups: a reading group could write reviews and post online, and/or help come up with new ideas for displays, and/or plan reading-related events for children. A teen writing group could publish their work, or write stories for local children; an art group could illustrate library materials. What are the benefits of teen volunteering? Benefits to the library may include input and help with teen and other events, teen leadership (which means supporting projects rather than always leading them), building a positive profile with local young people, greater role in the local community, building a better offer for young people and, importantly, creating positive associations with the library, reading, and information. Benefits to teens include a voice and greater investment in their local community and library, new experience/skills to add to their CV and university applications, positive adult mentors (librarians! ), and positive attention and encouragement for skills and input. How do I make a volunteer programme official? Coordinate with a local volunteer group like vinspired who can give teens certificates and other vetted rewards for their hours. Contact a local representative and request information on their volunteering requirements, such as the minimum age to volunteer, and what types of roles are suitable or unsuitable for young people. Once you have established the rules of the volunteer programme, collaborate with colleagues and local teens to come up with list of duties, responsibilities, rules. It’s especially useful to consider specific skills that your library’s volunteer programme can offer to young people. Will they improve their writing or speaking skills? Perhaps they will learn to lead projects and make important decisions. Or they will make use of communication or teaching skills. How do I register teen volunteers and keep track of logged hours? The teens will usually need to fill in a registration sheet. Once they have filled this out, you should create a sheet with their name that goes into a binder in which you record individual teen volunteer hours (and a brief list of activities done – two or three words should usually cover it). When teens reach certain landmarks (20 hours, 50 hours – these depend your local volunteer organisation), send a copy the teens’ volunteer hours sheet and obtain a certificate to award to teens for their service. Remind teens that skills they’ve learned can go on their CVs and possibly in applications for uni (have a list ready is they’re not sure how to phrase them). For example, helping to plan a local event or applying for a grant for a teen-led projects both yield desirable skills. How do I interest young people in volunteering? I don’t have a magic bullet to recommend. The best way to get teens involved is to appeal to a few who are interested in the activity and then make the volunteer experience rewarding enough to keep the young people coming back. Speak to young people who already use your library service and/or attend teen library groups about volunteering. They are a built in “user group” and some of them are likely to be keen. Make local volunteer coordinators aware of your most interesting/enriching programmes. When they council young people on finding volunteer work, they will also recommend yours. Put up posters in the library, in schools and at youth centers. List your volunteer opportunity on local websites and, if appropriate, in local magazines or papers. Whenever engaging in outreach (at schools, youth clubs, etc.) be certain to give a good “elevator talk” about the library’s volunteer opportunities. How do I keep volunteers coming back? If you can, hold “thank you” parties once or twice yearly. Rewards like this make teens feel special and appreciated and keep them invested. They ARE doing a great service for your library. Say thanks. As you get to know some of the young people involved, you will also build a positive relationship with them. You may feel comfortable offering to write job recommendations or helping them in similarly appropriate ways. Running a volunteer programme is not a quick fix to short staffing or other issues. Volunteer programmes require time and energy to establish and maintain! Due to health and safety regulations, library staff members need to be present when volunteers are working. Libraries cannot hold events that are volunteer run. Although it’s not necessary, I highly recommend that you a course about managing volunteering programmes. Our regularly scheduled programming has been… well, rather irregular this week. The normal posting schedule will resume again next week. The (belatedly announced – sorry!) winners of the YA Library UK Giveaway are M, who wins a copy of The Ultimate Teen Book Guide, and Lee Mumbray-Williams, who has won a bundle of three new YA novels! Congratulations to both of you. The Edge authors give their top eight writing tips for aspiring young writers. The Worcestershire Teen Book Award announced their 2011 winner on 22nd March. As always, I recommend having a look at Teen Librarian, UKYA, and Teen Librarian’s Toolbox. You should expect a brand new post on Monday! UKYA, a new website “celebrating Young Adult fiction from the United Kingdom.” Read posts at Teen Librarian and Small Blue Thing to find out a bit more about UKYA. Teens and Autism is an article written by a young person whose younger brother has autism. A new study suggests that e-readers encourage boys to read more. This article about “a real-life ‘Hunger Games'” in North Korea might spark a discussion amongst pupils or members of your teen reading group. This isn’t exactly new, but if you want updates on The Reading Agency’s MyVoice project, check out the latest MyVoice Roadshow news. Recently a commenter mentioned that time is their main challenge to delivering excellent teen service. This is true for many librarians in a variety of sectors, especially in the era of budget cuts (speak up and save libraries!). While you may be aware of external sources of money for libraries and teen projects, it’s difficult to use that money to positive effect without a little time to do it. The first place to do outreach is in your own library! Don’t hover or make up jobs, but do appear sometimes and chat to teens whenever you’re looking over books for ideas of what to order next, editing the collection, or putting up posters or displays or signs or leaflets in the teen area. Ask if there are any books they’d like you to order, or if they can think of any events or improvements to the library. Obviously you can’t do everything that’s asked of you, and it’s important to make that clear. But it’s also important to get feedback from young people currently using your service. At least a few of them will have passionate opinions, and be interested in becoming more involved with library offerings. It can even be an hour a month of outreach, to start. Visit a school or a youth club. If you have teen events, prepare some activities or a quick presentation on those. 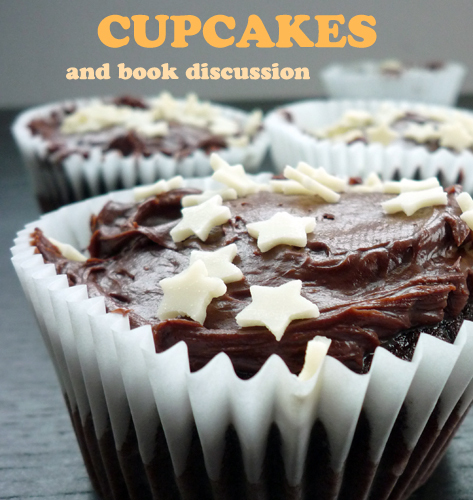 If you don’t, or if you’d rather do something related to your materials, why not try a book talk? If you go into one school every month that schools are in session, you could easily reach a few hundred young people every year. You’ll also become a friendly face for young people who feel nervous or unwelcome in the library. Young people are far more likely to use the library if they know there is a staff person who is kind, patient, and interested in listening to them. One meeting can save ten hours. If you have few or no outreach hours, meeting with someone who can reach the teens you want to work with can be a huge time saver. Your local council will have a department dedicated to all variety of youth services, including local youth clubs, at-risk teens and young offenders, NEETs (young people not in employment or work), and others who can use your service – but may not. Introduce yourself to youth workers in the council. Tell them a little about your current services for teens, or what you’d like to offer. Ask them about programmes they think youth would like to see, and the best ways to reach local young people. Most youth workers who I have met are interested in getting teens more involved with libraries and reading. It’s better to run, say, one really fun event every two months than to run an poorly planned event every week. It’s also a good way to gauge interest in recurrent activities or groups and make a case for them. Put your energy into a few really good projects, rather than trying to reach every teen all the time. This tactic requires you to spend time in order to save it. Teens do need some guidance for self-led projects and volunteering, but they can also help run events that you would never be able to put on without their ideas and investment. Read Teen Volunteers and Your Library for more information. A little goes a long way. Many staff members are frightened of teens or feel “out of their depth.” Even a few hours of staff training (you can apply for money to fund this via your local branch of CILIP. Some, like East of England, accept applications from local libraries even if the applicants are not current CILIP members. Various Youth Libraries Group branches offers bursaries for conferences and other professional development projects. Nothing is more frustrating than hunting around for that sheet of great book talk ideas, or trying to remember how many hours your teen volunteers have amassed. Don’t forget to keep records, even if they’re brief! Know a brilliant timesaving technique? Comment or tweet it @yalibraryuk. Regular posts resume on Monday, after a six week hiatus. In the meantime, catch up on some teen librarian news. CILIP has revealed the full scale of the library cuts. The Booked Up scheme has been withdrawn and replaced with a scheme that requires schools to pay. Anne Harding makes some good points related to Ofsted’s “Moving English Forward” report and pleasure reading for secondary school pupils. April is Script Frenzy month, during which young people (and adults) can dedicate the month to writing 50 pages of a script. Click on the link above to find more information and teaching resources. World Poetry Day (21 March) has passed, but the Guardian’s guide to teaching poetry has good ideas for any day of the year. My Fake Wall and Fakebook allow you to design fictional Facebook pages “for study purposes.” So you could, for example, design a “Facebook” page for a fictional character, an author, a historical figure, et cetera. Check out the Fakebook pages of Hermes and Martin Luther. I can imagine a ton of fun uses for this, especially in a school library! YLF Scotland Spring Conference running four sessions for working with teens: http://teenlibrarian.co.uk/2012/03/22/youth-libraries-group-scotland-spring-conference/ £35 +VAT, Friday April 27th. Be there! Lighting the Future – the joint Youth Libraries Group, School Libraries Association and School Libraries Group conference – will take place in 8-10 June. There are some panels and workshops useful for those working with young people. For those who need assistance there are several bursaries available. See the Lighting the Future website and Youth Libraries Group regional pages for more information on financial assistance. Anne Harding is offering a one day course for secondary school librarians on cost-effective methods of promoting reading and library use to pupils. The course will take place in Sutton on 17 May and cost £89/120 (early bird/standard). Winners of the Carnegie Award will be announced in June. For now you can have a look at the shortlist. Several YA novels have been nominated for the LGBT Children’s/Young Adult category of the Lamba Award. Bali Rai writes about his favourite YA novels. Action Librarian has compiled a useful list of YA books with Muslim protagonists. Tell the Siobhan Dowd Trust how you spread a joy of reading in your school and win £1000 worth of books! Win a Set of Eight Signed Novels from EDGE Authors! Contest ends 31 March. 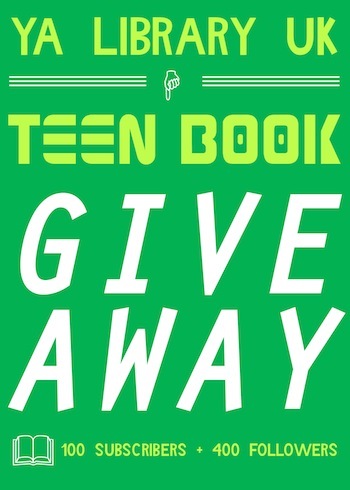 And of course the YA Library UK Teen Book Giveaway is open until 2 April. If you have a piece of news you think should be included in the Links Round-Up, email me at yalibraryuk@gmail.com or Tweet @yalibraryuk.